Tautomers are organic compounds that are interconvertible by tautomerization.Tautomerization results in the formal migration of a hydrogen atom or proton, accompanied by a switch of a single bond and an adjacent double bond. Usually the catalysts of these reactions are acids or bases. In solution there is an equilibrium state between the tautomeric forms. Some types of tautomers: ketone-enol, amid-imidic acid, lactam-lactim, enamine-imine tautomeric forms. 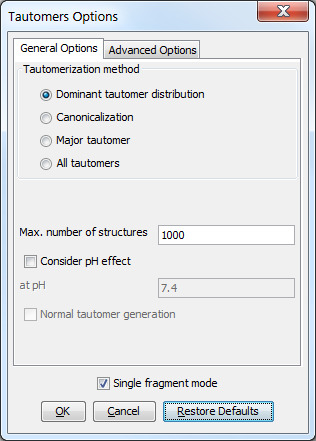 The Tautomer Generation Plugin is able to calculate tautomers based on many user-defined options.To have more information on tautomers and our tautomer generation method, see the tautomerization reference page. The following general options can be set in the Tautomers Options window. Dominant tautomer distribution: calculates the distribution of different tautomer forms present at the given pH. Canonicalization: calculates a unique tautomer form for the input structure by default. Major tautomer: gives the first structure from the dominant tautomer distribution. All tautomers: combinatorially generates all possible tautomers. If any deuterium or tritium is involved in the tautomerization, isotopes are not removed; rational tautomer generation mode can be activated. The old generic tautomer generation has been removed from the plugin interface. 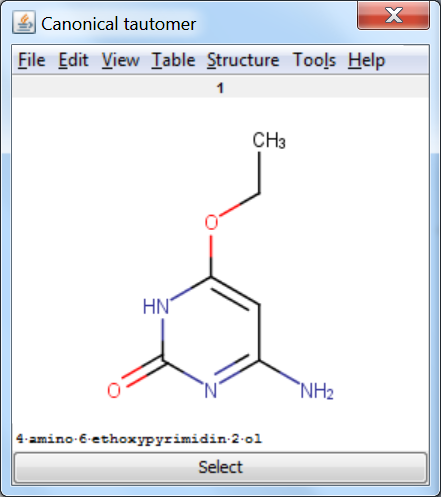 However, it is still available from cxcalc, Chemical Terms and from the API. In future releases it will only be available from the API as a functionality. Normal: this scope narrows down the possible tautomerization paths and results in chemically more relevant tautomer forms according to our model. This is the strict scope in our model. If the 'Dominant tautomer distribution' or the 'Major tautomer' method is selected, the 'Normal tautomer generation' button is disabled because it is added and applied to the chosen method by default. You can read more about our tautomerization method here. Max. number of structures: maximize the number of structures to display. Consider pH effect: takes into account the protonation states at given pH. Applicable for Major tautomer and Dominant tautomer distribution calculations. 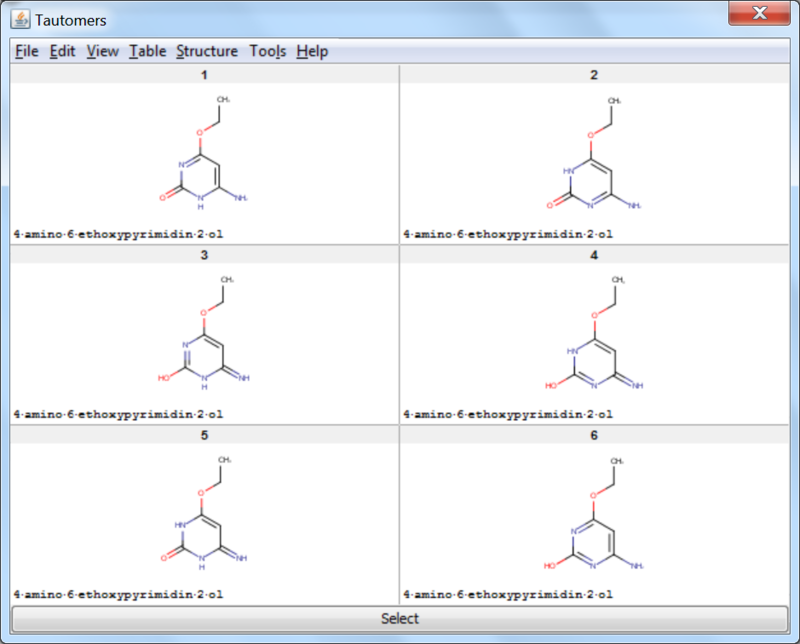 Single fragment mode: if checked (default), the results are displayed in separate windows; if unchecked, the calculation handles unlinked molecules together and results appear in the same window. Decimal places: setting the number of decimal places used for displaying the tautomer distribution values. Set max. allowed length of the tautomerization path: sets the number of bonds (a path) which are considered by displacing a double bond. Protect aromaticity: if checked (default), the aromaticity is kept. Protect charge: if checked (default), charges of atoms are kept during calculation. Exclude antiaromatic compounds: if checked (default), any tautomer structure having an antiaromatic ring system will be discarded. Protect double bond stereo: if checked, all double bonds with stereo information remain intact. If unchecked (default), tautomer regions will lose the double bond stereo information, any other stereo information in the molecule is kept intact. Protect all tetrahedral stereo centers: if checked, stereocenters are not included in the tautomerization. If unchecked (default), tautomer regions will lose the tetrahedral stereo information, any other stereo information in the molecule is kept intact. Protect labeled tetrahedral stereo centers only: if checked, stereocenters labeled with chiral flag or MDL Enhanced Stereo Representation flags will not be included in tautomerization, other stereocenters will. 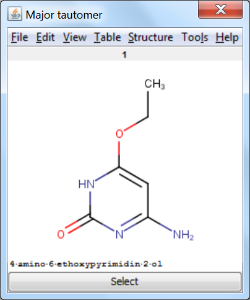 Single fragment mode: if checked (default), the results are displayed in separate windows, if unchecked, the calculation handles unlinked molecules together and results are in the same window. Protect ester groups: if checked, ester groups are not taking part in tautomerization. 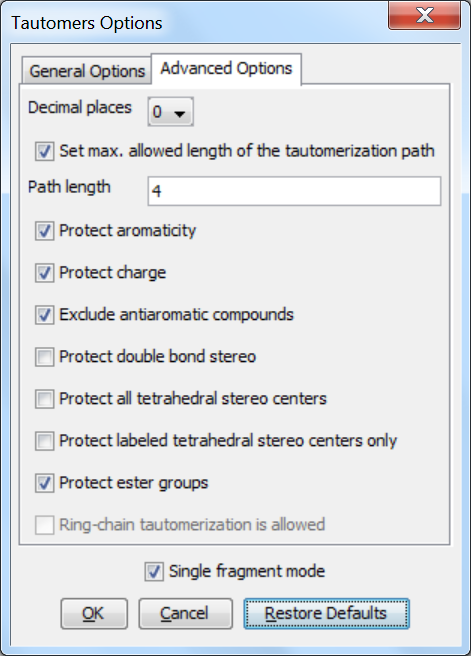 Ring-chain tautomerization is allowed: this option can be activated when "All tautomers" function is selected; if checked, tautomer generation will take into account the possibility of ring closure. The number of generated tautomers strongly depends on the chosen options. 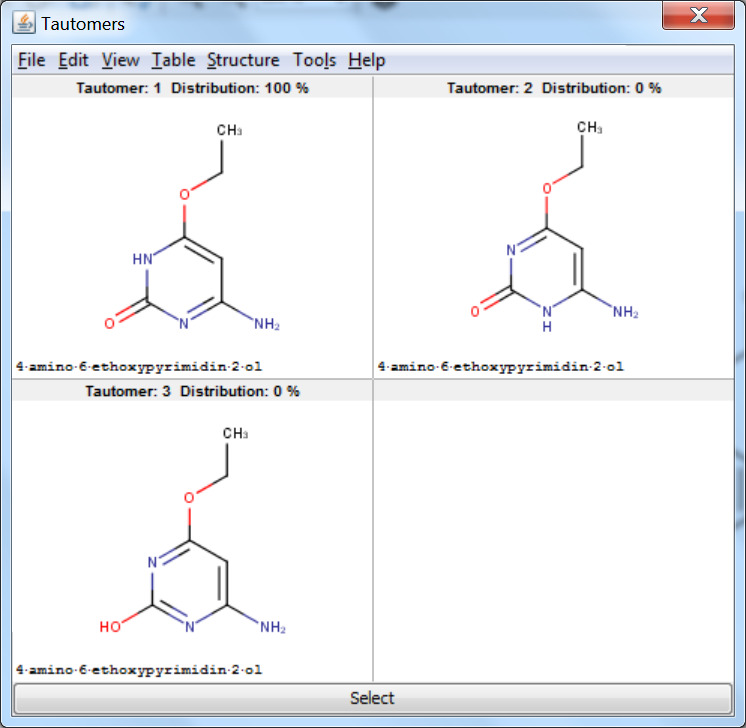 Tautomer Generator Plugin does not consider the three dimensional structure of molecules during tautomer generation. Symmetric structures are filtered out from the generated set. You can try our Tautomer Generator for free on this demo page.